The Awards committee identifies and publicly recognizes individuals who have made significant contributions to NYSPA and to psychology. The committee invites members to nominate their colleagues for four categories of awards which are outlined below. Award nominations are received year round and presented at the Annual Convention. Please include as much relevant information as possible in your nominating statement. The awards are presented at the NYSPA Annual Convention. This award is presented to psychologists who have demonstrated an unusually strong commitment to NYSPA's programs and goals. Ordinarily 3-5 services awards are presented each year. This award is presented to a psychologist whose leadership and/or advocacy activities has established a guiding light for the profession of psychology. 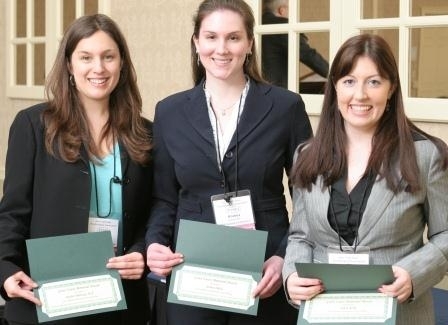 The Sidney A. Orgel Memorial Award was established in 2005, to recognize an early career psychologist member of NYSPA that has shown exemplary leadership qualities. This memorial award honors Dr. Orgel's commitment to mentoring future psychologists and his service and passion for the profession. The award include a cash award. The NYSPA Diversity Award is given to a psychologist who has demonstrated a notably sustained strong commitment to diversity and inclusion within the NYSPA programs and goals. The Leadership Institute of the Foundation of NYSPA recognizes others that exemplify the incredible ability to mentor early career psychologist and students to become leaders, like the late Dr. Joanne Lifshin. Nominate a psychologist who has demonstrated outstanding leadership in mentoring students, early career psychologists, and peers within the profession. Provide a description of the activities, examples of their mentoring and at least one referral of an individual that was mentored by the nominated individual. If the person nominating the psychologist is the individual who was mentored please indicate this in the nomination. NYSPA's Lifetime Achievement Award is the newest award created in 2016 by President Roy Aranda to recognize contributions of NYSPA members over the whole of a career, rather than or in addition to single contributions.The Lifetime Achievement Award is given to members who made significant and substantial lifetime contributions to the profession and NYSPA in recognition of their excellent work.